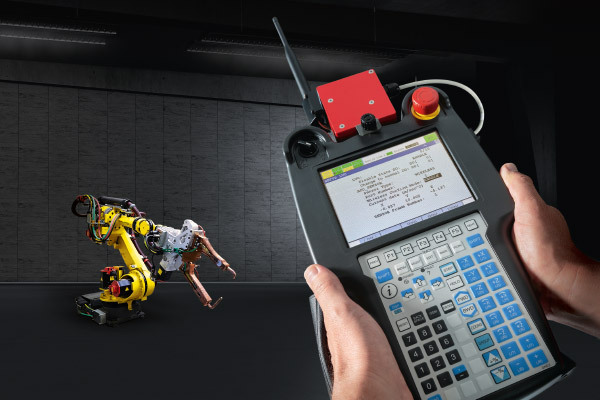 With more than 250 software functions for enhanced intelligence, motion, safety and productivity, plus a wide variety of high quality FANUC robot accessories, we give you the power to make your robots see, feel, learn and keep you safe. Dedicated functions, simple to use interfaces and exclusive features to simplify and standardise the programming, setup and operation of your robot make achieving this easy. FANUC LVC is the perfect solution for operations that require increased accuracy at high speeds. 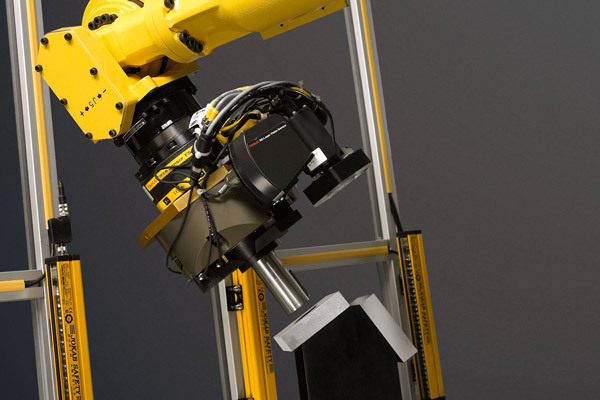 The software, which is unique to FANUC, allows the robot to learn its vibration characteristics using an accelerometer, optimise its path and reach higher accelerations while keeping vibration to a minimum, even at maximum speed. Getting the most out of the robot, this results in considerably shorter cycle times and maximum accuracy. FANUC's integrated force sensor provides highly sensitive force control for assembly, fitting and weighing applications as well as for deburring and polishing. 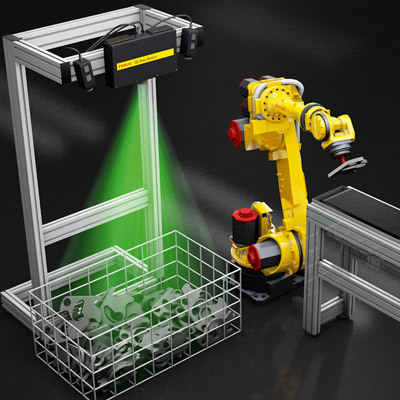 FANUC ROBOGUIDE is an outstanding piece of offline programming, simulation and training software. 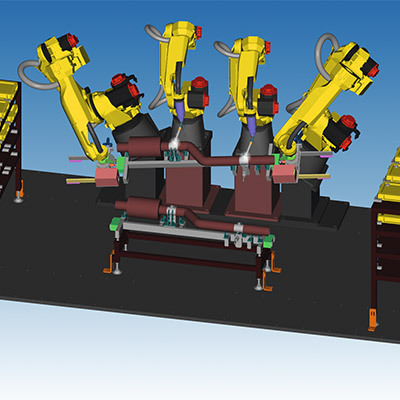 Using FANUC Virtual Robot Controller Technology, realistic programs identical to those used in production can be created quickly and easily. Ideally suited to preparing programs in advance, ROBOGUIDE minimises risk and increases your productivity without the need to stop production. FANUCs ROBOGUIDE Weld PRO is an easy to use offline simulation that’s as accurate as a real controller. 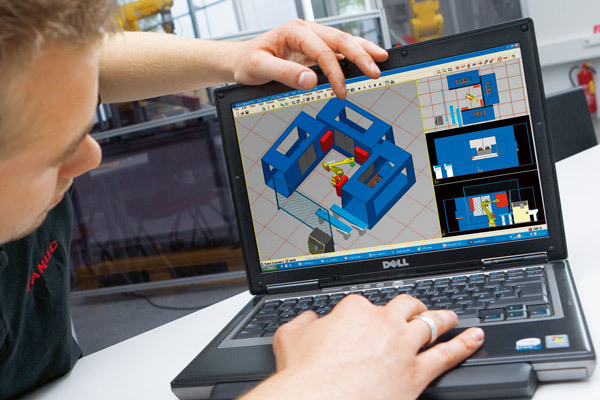 You can import CAD drawings in just one click, and modifications can be sent to the robot while it is working. 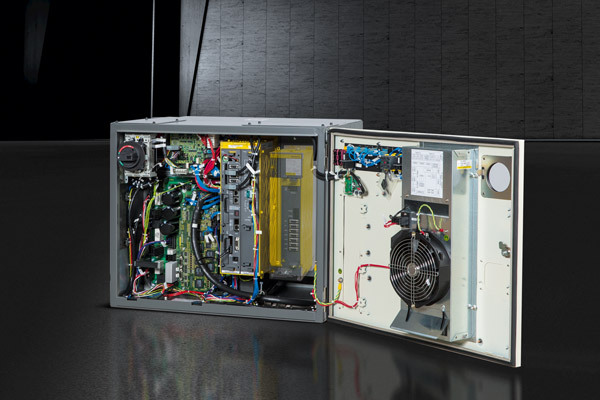 FANUC fieldbuses support all common industrial bus systems with easy plug & play connection to peripherals. This reduces your reliance on hardware, saving you money and making you more flexible. 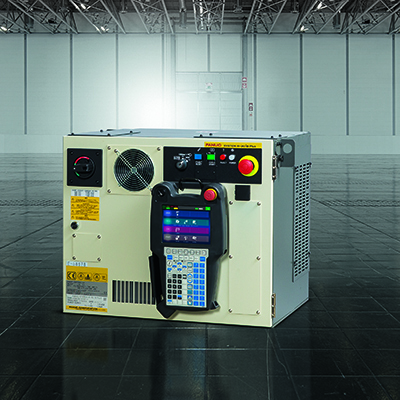 In addition, the FANUC R-30iB controller offers support for several safety bus-systems, with recent developments which also include support for merging. This saves you still more money by further reducing your need for hardware and wiring. Finally, newly released safety bus systems provide safety signals via Ethernet. 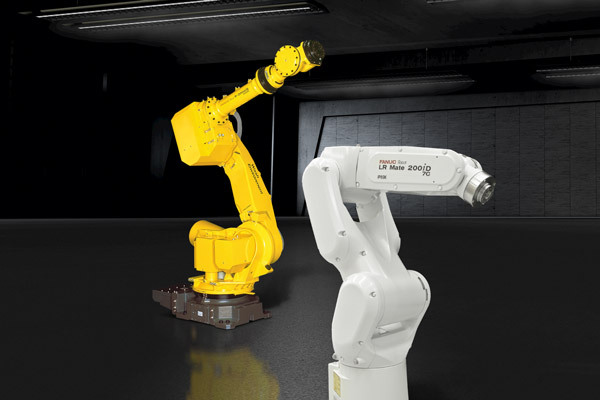 Dedicated FANUC robot accessories allow you to adapt your robots to every conceivable working environment. 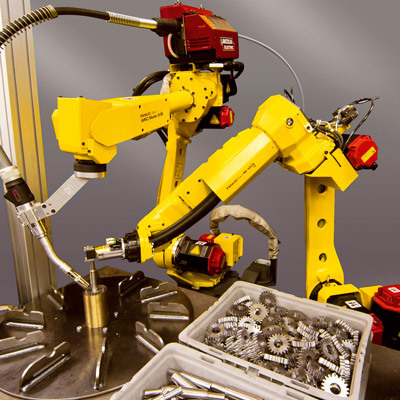 Featuring motor covers, waterproof connectors, cable covers, coatings and stainless steel bolts and washers in exposed areas, the FANUC SDLP package improves your robots' resistance to harsh, dusty or wash environments. The package also features IP56 protection on the main body and IP67 protection on the J3 arm and wrist unit. 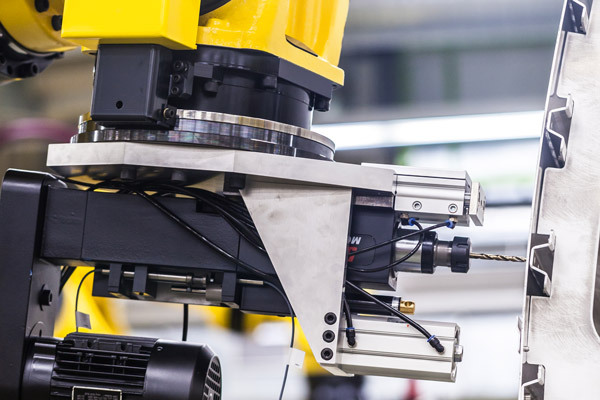 FANUC Secondary Encoders are specifically designed to improve accuracy on processes such as flow screw drilling or roller hemming that require robots to exert a high degree of force. They do this by measuring deviations caused by torque and pressure on the tool and compensating for them by controlling the robot’s position at slow speeds or in the end position. Secondary encoders also identify vibration and amplitude quicker than primary encoders, enabling them to provide fast, accurate control of vibration and overshoot.